The Officers and Members of Dennis Volunteer Fire Company cordially invite you to join us this Saturday (June 6th) at 1:00 pm for the dedication ceremony of our new KME Fire Apparatus Rescue-Engine 1836. The ceremony will be held at our firehouse at 721 Petersburg Road in Dennisville, and following the ceremony, tours of the truck and firehouse will be given, as well as fire prevention activities for children. We hope you can join us for this special day. Visit our new "Photos" web page for more images from the ceremony! The Board of Fire Commissioners of Dennis Twp. Fire District #2 and the DVFC are pleased to announce the purchase of a 2014 KME Fire Apparatus Rescue Engine. 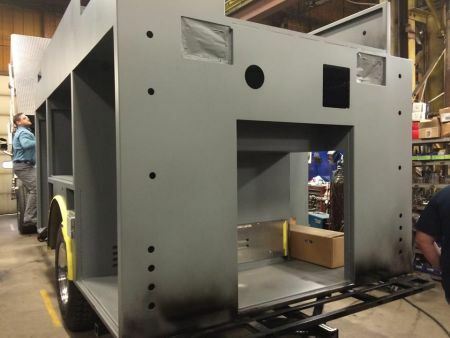 This apparatus will replace former Engine 1835, a 1989 Grumman Engine that has been sold to Wolf Creek Fire District in Rhea County, Tennessee. The engine, which will carry 1000 gallons of water as well as have 4 pre-connected JAWS of Life rescue tools, is currently undergoing final preparations for factory departure. 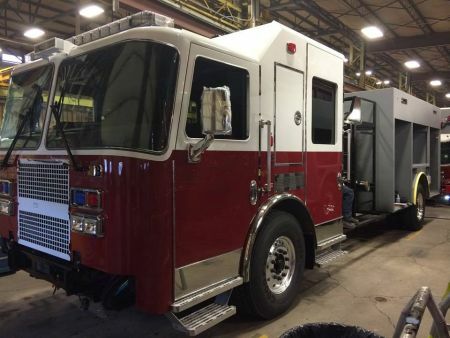 A group of fire commissioners and firefighters will travel to Nesquehoning, PA in the coming weeks for a final inspection before an expected mid-December delivery. Stay tuned for more updates regarding this much-needed apparatus. 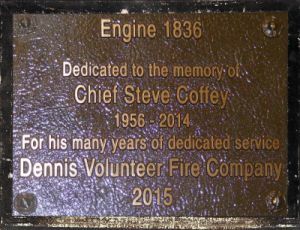 About DVFC: The Dennis Volunteer Fire Company (Est. 1948) is the sole fire-service provider for the villages of Dennisville and South Dennis in Dennis Township, NJ. The company strives to deliver the highest possible service in protecting the life and property within Dennis Township Fire District #2, and continues to carry out these functions by providing effective volunteer responses through quality training and the highest standards of performance. For more information, visit www.dennisfireco.com.